Established in 2014, Hood Avenue Art exhibits the work of and is operated by Central Oregon artists. 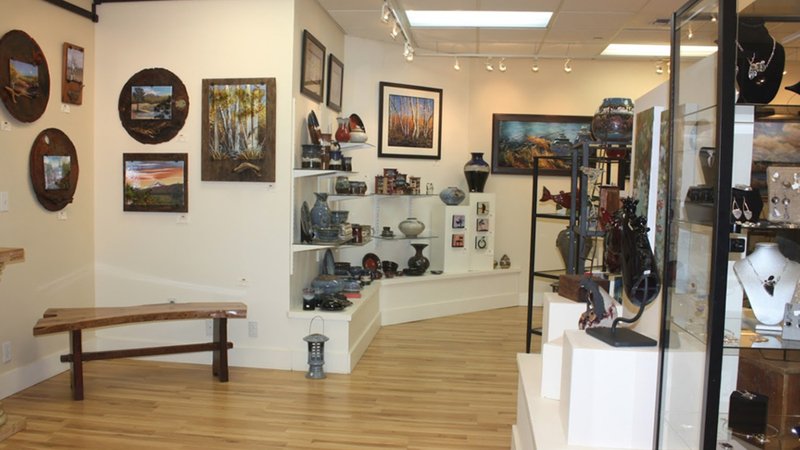 Located just off Highway 20 in downtown Sisters, the large, welcoming space is a friendly mix of oil painters, mixed-media artists, watercolorists, pastel artists, wood workers, metal workers, ceramic artists, glass artists, and jewelers who have all come together to present high quality works of art. Hood Avenue Art hums with creativity and is a wonderful place to wander, to ask questions of the artists, to see how inspiration plays out in different mediums, and to perhaps find a particular piece that speaks to you. In addition to proudly selling the work of talented artists across the region, Hood Avenue Art hosts a number of community fundraisers as well as art shows in its gallery throughout the year, shining a well-deserved spotlight on specific artists. Hours of operation vary from season to season so please check the website for current information.